NORTHWEST PA (EYT) – The overnight storm that ripped through our region left downed trees and some damage in its wake. According to the American Red Cross Greater Pennsylvania Region, strong winds caused significant damage and extended power outages to the area, and Warren Fire Department has been going door-to-door to assess residents’ situations and safety. 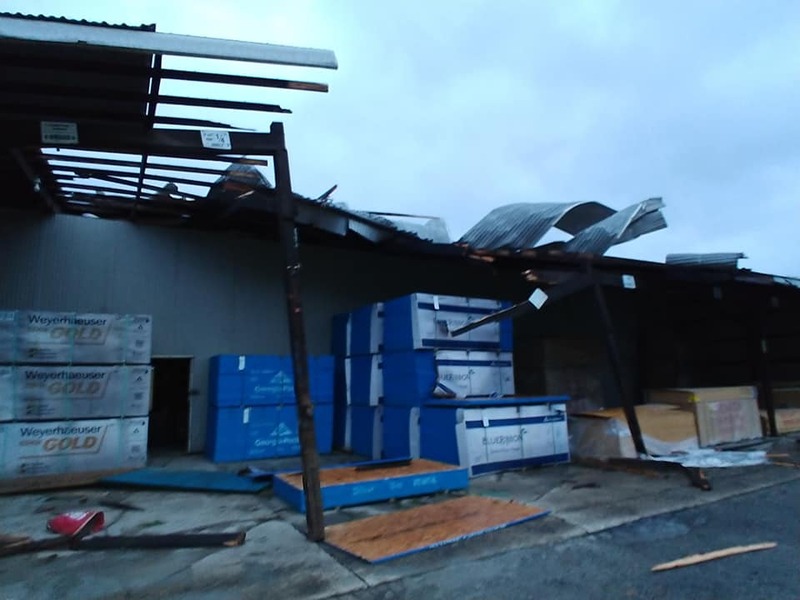 The American Red Cross is currently supporting an overnight shelter, located at the Warren Fire Department at 204 4th Avenue in Warren, for individuals impacted by storms in Warren County. A representative of Jefferson County 9-1-1 reported they did not have as many calls as some other areas, with just a handful of trees down, primarily in the northern part of the county in the areas of Washington, Warsaw, and Clover Townships. Downed trees and other damage has also been reported throughout the region. According to a representative of Clarion County 9-1-1, there were a number of trees reported down throughout the area, including trees in Farmington, Washington, Knox, Beaver, Toby, and Redbank Townships. 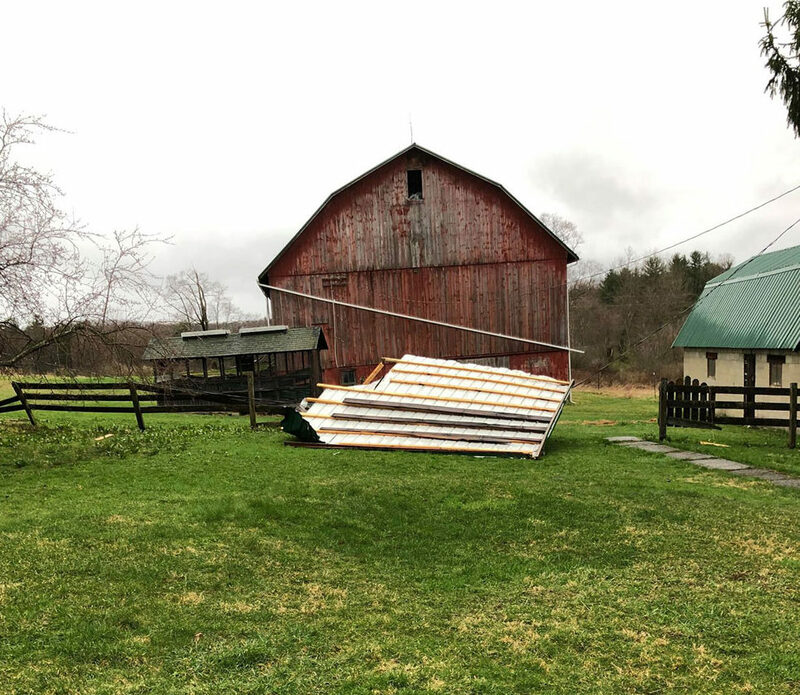 The Pittsburgh office of the National Weather Service also received several reports of damage in Clarion County, including wind damage near Alum Rock, as well as trees down in Toby and Beaver Townships, and power lines down in Toby Township. Along with the downed trees, there were also two reports of transformer fires, both in Beaver Township, though only one of the two could be directly attributed to the weather, as a tree had fallen and struck the transformer. Storm damage. Submitted by Sara May Moore. There were power outages also reported in Forest County. As of 1:00 p.m. on April 15, there were 23 individuals without power in Barnett Township, down from a total of around 800 customers without power in the area around 9:00 a.m.
Venango County 9-1-1 reported about a dozen calls overall were received regarding trees or power lines down in the county, primarily in the areas of Franklin, Rocky Grove, Cherrytree Township, and Pleasantville. 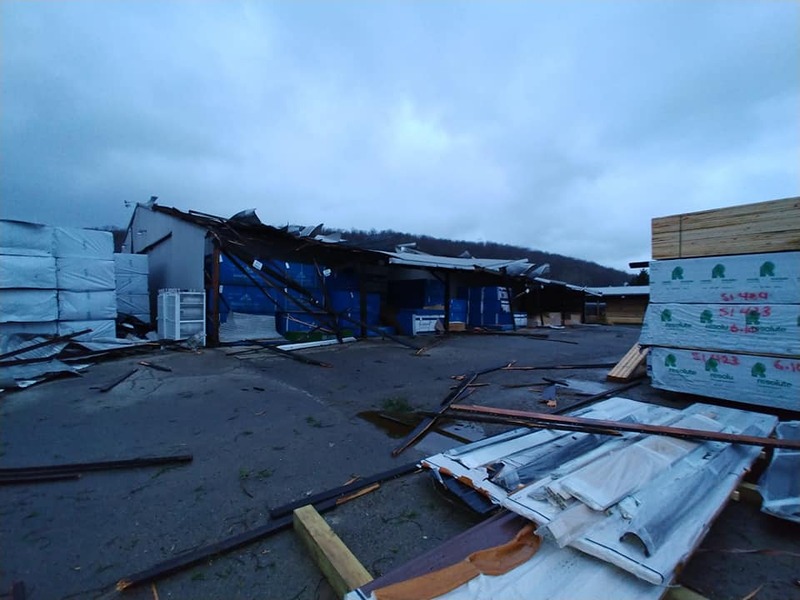 A representative of the Pittsburgh office of the National Weather Service noted that they also received reports of damage in Venango County, including wind damage and both trees and power lines down in the Bradleytown area of Plum Township, as well as a roof that was blown off a business in the Rocky Grove area of Franklin. 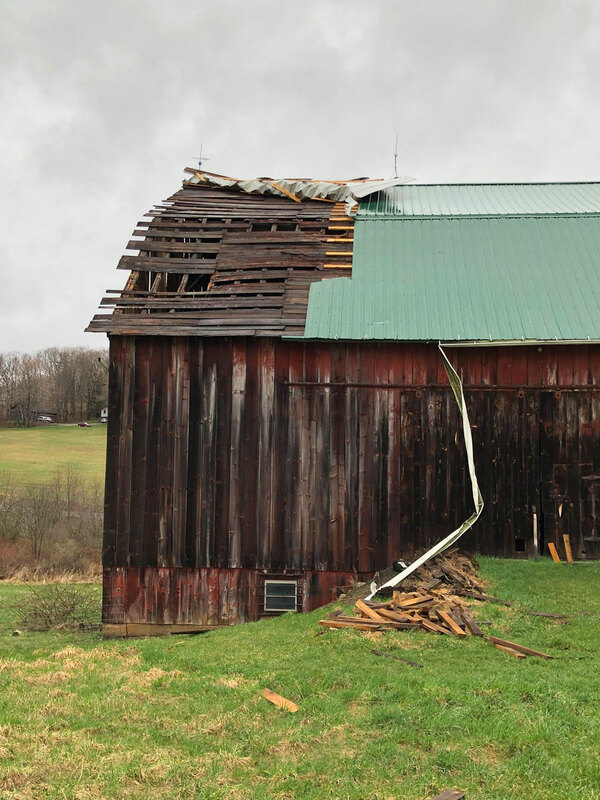 A National Weather Service employee from the Pittsburgh office is also currently surveying possible tornado damage in the western part of Venango County. While no touchdown has been confirmed at this time, additional information should be available in the next 24 hours. 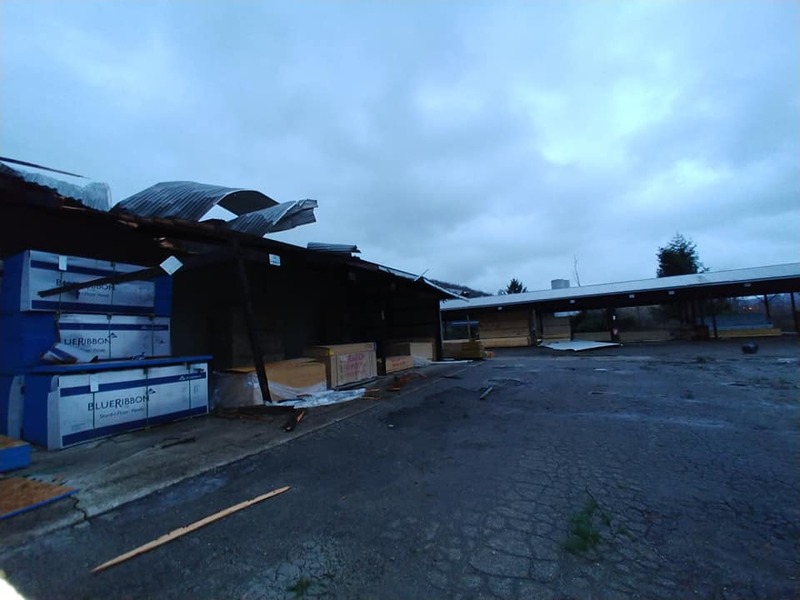 Along with trees and lines down, there were also reports of damage to the roofs of homes and other structures in the region, as well as several power outages reported throughout the region. According to Ken Maleski Manager of Communications and Public Relations for Central Electric Cooperative, at the height of their outages overnight, around 2:00 a.m., they had 130 customers reported without power, including 130 people in Utica, Venango County, and 42 people in Toby Township, Clarion County. As of 1:00 p.m. Monday, they are down to just four customers still without power. Late Monday morning, light snow also graced our area, though it didn’t stay long on the ground, with some gusty winds from 18 to 37 miles per hour still remaining. Nevertheless, the storms appear to be over for the moment, with a calmer, partly cloudy evening expected. A chance of some showers, with little to no accumulation, remains on Tuesday, mainly after 10:00 a.m. with the high rising back up to near 55.